Health insurance deductibles and co-payments, plus uncovered items like your child's braces, can put a dent on your bank account. That's why flexible spending and health savings accounts, where you put money away tax-free to pay for out-of-pocket health-care expenses, generally are good ideas. What's better, the saved money from an FSA and an HSA lowers your reported taxable income, just like contributing to a retirement account. 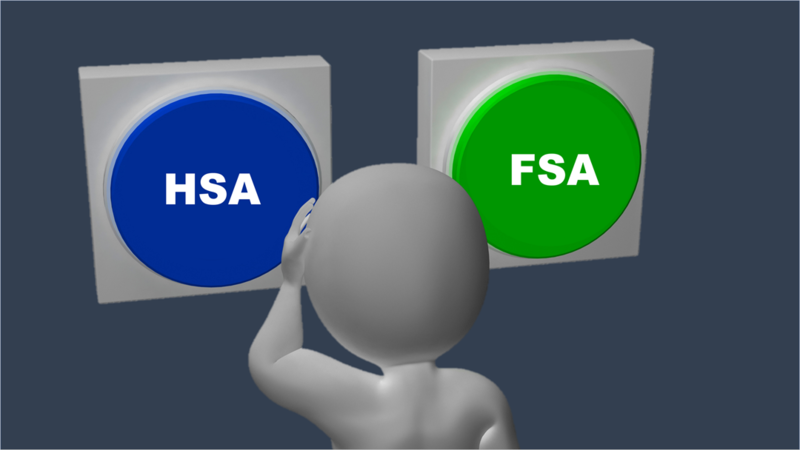 Which is the best for you, though, an FSA or an HSA? First let's look at how they are constructed. You can get into these health accounts during your employer's open enrollment period, which usually runs through December. You also can enroll if you have a "qualifying life event," such as a change in marital status, a new child, or the death of a spouse or dependent. And if you take a new job, you can sign up within 30 days. Most employers don't offer both an FSA and an HSA and, usually if they do, you can't get into both. If you have a choice, knowing the differences is important. Among other things, you can put more money into an HSA and roll it over into a new year. But an FSA lets you take money out even before you have contributed it. Flexible spending accounts. For 2018, the maximum contribution you can make is $2,650 and this rises to $2,700 in 2019. That's not a lot, but if your spouse has health coverage, he or she can take out another FSA. A big downside is the use-it-or-lose-it rule. Should you fail to spend all the money in your fund by year-end, you lose it. As a result, you have to estimate how much you'll need to pay yourself in the coming year. At least companies have the option of giving employees until March 15 to spend leftover money or even keep up to $500 for the next year. Many don't do that, though. The good thing is that you can start spending the whole sum you designated for the year ahead on Jan. 1, even though your contributions are spread over the coming 12 months. Leave the job and you can't take the money with you, as you would with a retirement account—or an HSA. Health savings accounts. The advantage here, of being able to sock away more money and not forfeiting the unused amount on Dec. 31, is considerable. In 2018, a single person can save $3,450 in an HSA and in 2019, $3,500. A family: $6,900 and $7,000. Further, if you're 55 and older, you can put in an extra $1,000 as a catch-up. In addition, self-employed people can create an HSA for themselves, but not an FSA. But HSAs have their weaknesses. To set one up in both 2018 and 2019, your health plan needs to have a yearly deductible of $1,350 for an individual and $2,700 for a family. That's a bit steep. Regardless, either plan can be a boon tax-wise. Utilizing FSAs and HSAs are best considered within a strategic tax plan, which is technical and depends on your personal circumstances. We're here to help with any questions.